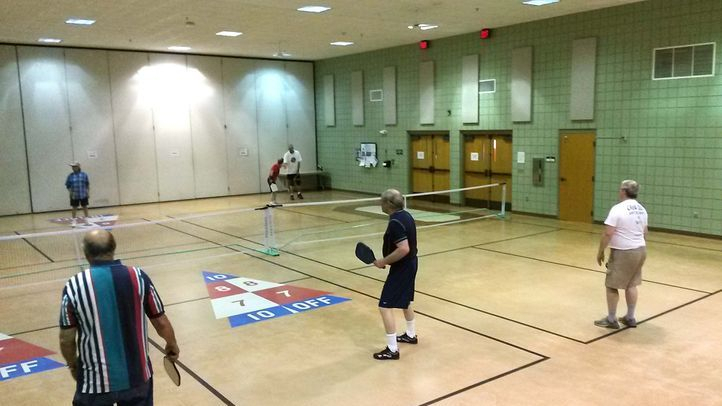 We play on 2 regulation courts with 2" lines inlaid into the tile floor and lined for pickleball only. These are two of the premier single-sport courts in the area. Active Generations membership is required to participate.